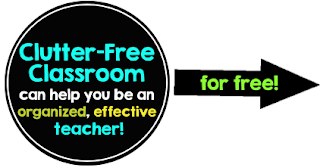 This ended up being one of those lessons that I’ll be giddy about doing every year. It was the perfect blend of academics and craftiness. 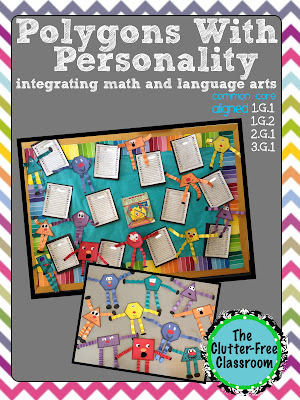 It rolled math vocabulary and concepts, character traits, writing skills and cutting and pasting all into one. We’ve been working with polygons during Math Workshop using all of the games, activities and printables in my 13 Product 2D Geometry Bundle throughout the week so the students were familiar with the language and attributes. 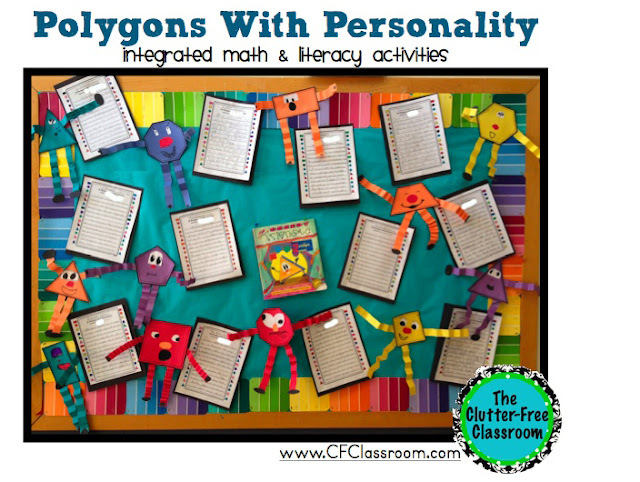 However, this activity would also be a great introduction to the unit as it has them looking at the attributes of various polygons. I began by reviewing what character traits are. We discussed how they are based on what someone says or does and not on appearance. 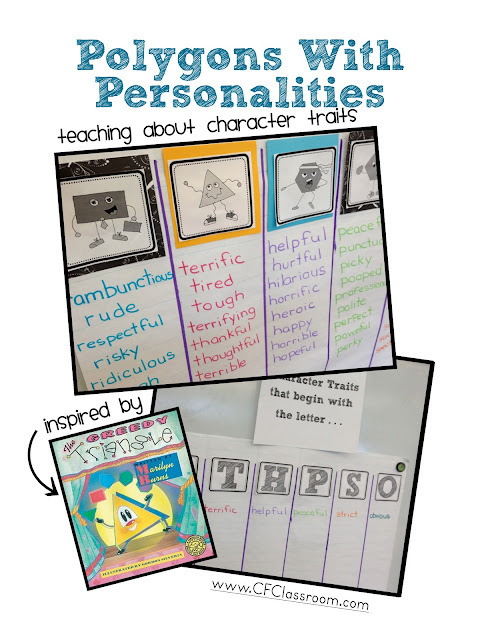 I revealed a chart that included columns headed with the letters T, S, P, H, O, R and together we listed one character trait that began with each of those letters. I told them that I picked those letters for a reason, but wouldn’t tell them why until later in the day. Their excitement and interest level grew with curiosity. I gave them each a copy of the printable and challenged them to list 25 character traits that began with those letters in 15 minutes. I was amazed by their word choices (punctual, reluctant, rambunctious, sophisticated, etc). We came together as a class and compiled the individual ideas into an anchor chart. We talked about the words and their meanings as I added them to the list. I printed the polygon printables from my geometry packet onto plain paper and used the photocopier to make 3 of each in an assortment of colors using construction paper. 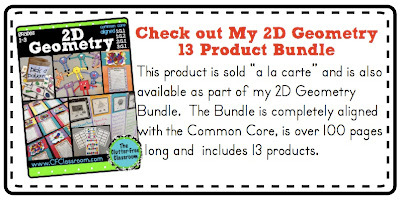 I passed them out to my students along with a graphic organizer. 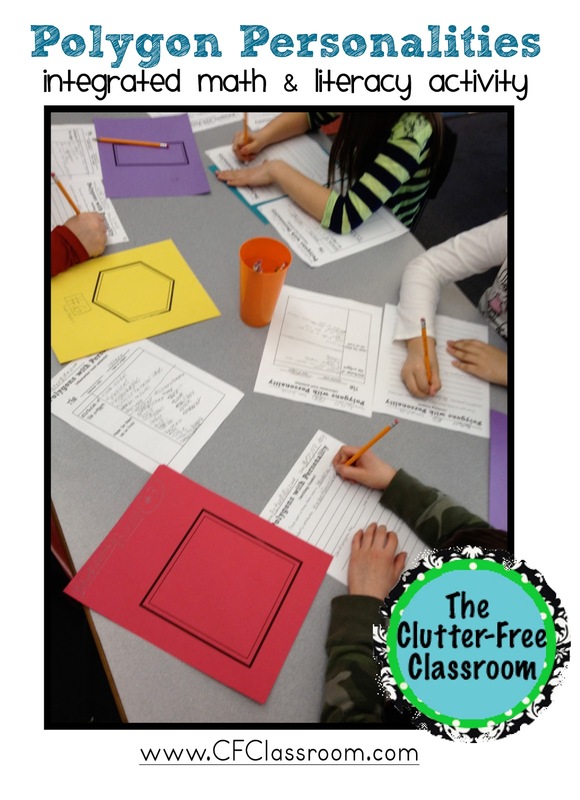 They used the graphic organizer to list their shapes attributes along with places the shape can be found (i.e. a triangle can be a sail on a boat, a slice of pizza, etc). I opted to do this prior to reading the story because I wanted them to generate their own ideas and not just record the ones from the book. Using the graphic organizer and the story frame each of my friends composed two paragraphs. After lunch I read, The Greedy Triangle by Marilyn Burns. I had cut 10 strips of paper and attached them to each other using metal brads. At the start of the story I held 3 of them with the others folded in the back to form a triangle. As the story progressed and the triangle turned into a quadrilateral and then a pentagon and then a hexagon, etc I revealed another side to form the new shape. 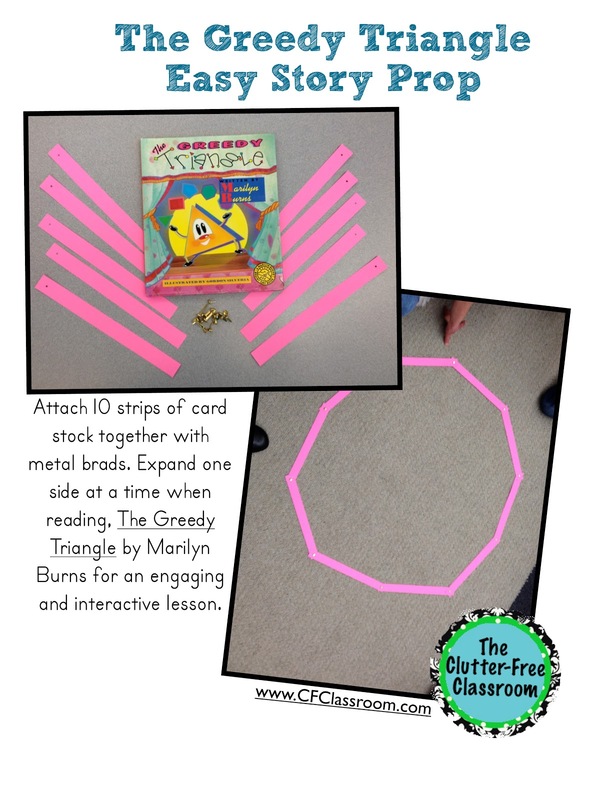 Afterwards we discussed why he was greedy and used details from the text to support that character trait. I then began gluing the polygon images from my packet onto our chart of words directly over the letters that were originally heading the columns. After a quick minilesson on alliteration (score another point for embedding state test review), each of my friends selected a character trait that began with the same letter as the polygon they had been writing about. They composed the final part of their writing piece by citing fictional actions to support the trait they selected. The final (and crowd favorite) part of the project was bringing their shapes to life by adding eyes, mouths and other components.